The ancient zodiac signs get a modern makeover with these subtle, minimal pendants. The twelve zodiac signs may be ancient, but that doesn't mean they can't get a modern-day makeover. Designer Satya Scainetti gives them the right-now treatment with these subtle, minimal pendants. 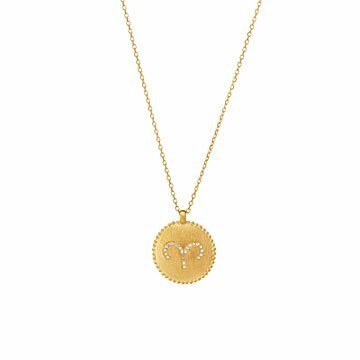 Crafted from 18k gold-plated brass and featuring a representative design for each sign, they make a thoughtful birthday gift for astrology enthusiasts and jewelry-lovers alike. Handmade in New York.